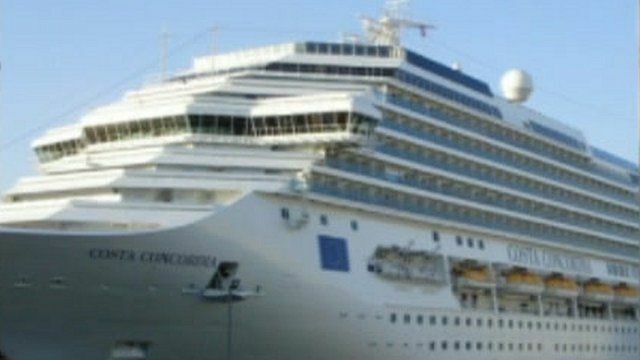 More than 4,000 people have been evacuated after the cruise ship Costa Concordia ran aground off Italy, with at least three reported dead. The vessel hit a sandbar on Friday evening near the island of Giglio, and listed about 20 degrees. People tried to reach land in lifeboats, or by swimming. Cabin steward Deodato Ordona, says there was a roaring sound, before the ship began to tilt.